sing. play. design. create. inspire. Doctor Baz aka Barry Ferrier has had a long and interesting career in many facets of the entertainment industry, academia and multimedia design - and in more recent years organic food. Here are some articles recounting highlights from that story. The Fairlight CMI (short for Computer Musical Instrument) is one of the earliest complete music workstations with embedded digital sampling synthesizer. 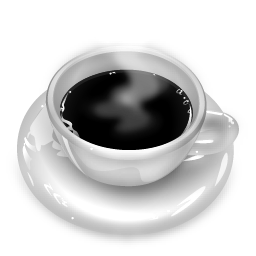 It was introduced in 1979 by the founders of Fairlight, Peter Vogel and Kim Ryrie, in Sydney, Australia. It rose to prominence in the early 1980s and competed in the emerging hi-tech music market with the Synclavier from New England Digital. Barry Ferrier was introduced to composing on the Fairlight during downtime whileworking as a recording session musician for producer Ian Mason at the iconic Music Farm Studios in Mullumbimby NSW. He later became a regular composer for the Queensland Performing Arts Trust at Brisbane's QPAC. 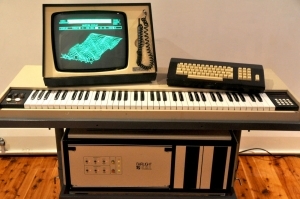 A Fairlight had been purchased by the trust and Barry's knowledge of the computer music instrument was utilised in many theatre shows, workshops and installations during the mid to late 80s. In 1984 Barry Ferrier was commissioned by the Queensland Performing Arts Trust to compose and perform a concert at the QPAC Concert Hall that was to be an exposition of state of the art digital technology in a performing arts context, featuring the then cutting edge Fairlight CMI IIX and the newly released Fairlight Video Instrument. The performances featured the Fairlight CMI as part of a rockband, as a "member" of a wind quintet and as the soundtrack to a modern dance piece, choreographed by Ginny Bradley with the Vision Dance ensemble, entitled "Chrysalis". The performance included prepared video clips on a giant screen as well as live video processed through a Fairlight video instrument. The prepared videos used text by Australian composer Percy Grainger who had written a prescient piece on a future music technolgy at the turn of the 19th century which described in uncaany detail the concept of the Fairlight CMI. Barry Ferrier has recently been recognised for his pioneering work as an electronic music composer by inclusion of one of his compositions in an exhibition mounted as a celebration of the birth of the Fairlight Computer Music Instrument at the National Film and Sound Archive in Canberra on Sept 2nd, 2016. For some there are two Brisbanes – the one before World Expo ‘88 and the new more confident and progressive one that emerged after. Many performers and musicians found an exciting forum for their work at this vibrant hi-tech showcase with a Festival atmosphere and exhibits from many nations of the world. Barry Ferrier won the prestigious contract to compose and produce hi-tech music quadrophonic soundtracks for the QANTAS sponsored Light Fantastic Night Parade which travelled through the Expo '88 site daily. Designed to rival the famous Disneyland Parades, World Expo '88 featured two daily parades - the 'Food! '-themed Expo Day Parade - and the 'Hermaphro - Queen of the Night'-themed QANTAS Light Fantastic Night Parade. We are passionate about what we do. We simply love what we do. "Barry Ferrier has designed over 200 websites and with a stint as Professor of Multimedia at the Gold Coast's prestigoius Bond University and a PhD in Mulitmedia he has the experience and qualifiactions to help with any corporate media design project." Barry Ferrier has written and stars in a music theatre production based on the life of Johhny Cash entitled "I Hear that Train a-Comin' - the Johnny Cash Story". "Dr. Baz performs original & clasic blues music with local legend blues Peter Claydon, as "Pete C. & Dr. Baz", kicking off with monthly residency at Mullumbimby Ex-Serviceman's Club"